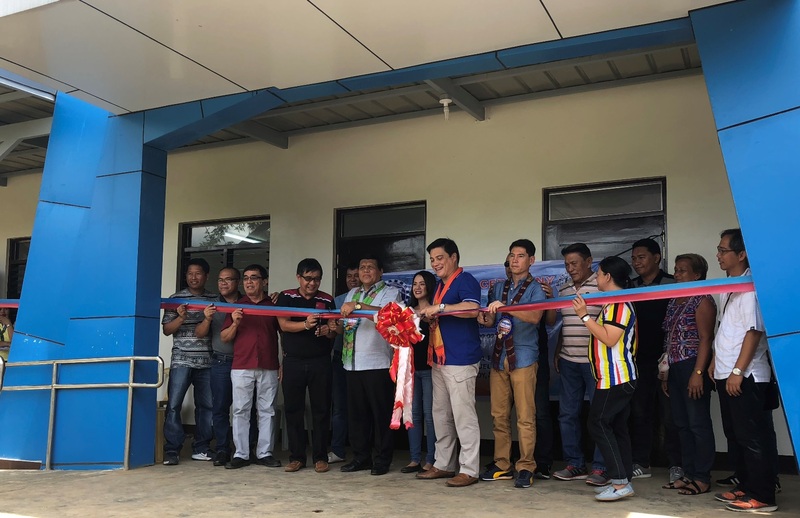 MALAYBALAY CITY (28 June 2018) In a move to make quality education more accessible to students, Senator Juan Miguel F. Zubiri initiated the opening of a total of 11 satellite campuses of Bukidnon State University (BukSU) in the province this semester. Six of the campuses are existing extension studies centers of BukSU in the towns of Baungon, Kadingilan, Kalilangan, Libona, Malitbog and Talakag. Five others were opened only this year in the towns of Cabanglasan, Damulog, Kitaotao, Quezon and San Fernando. According to the Office of the BukSU Extension and External Studies Centers, as of June 27, a total of 2,308 students have enrolled in the satellite campuses in either Bachelor of Public Administration (BPA) or Bachelor of Science in Business Administration (BSBA), the two courses offered so far in the satellite campuses. Dr. Oscar B. Cabañelez, BukSU president, lauded the move of the senator from Bukidnon as the prime mover behind the opening of satellite campuses in Bukidnon towns so more students have access to quality education. Without the senator’s full support, he added, it would be difficult to open satellite campuses due to its budget and other legal requirements. According to the Office of Senator Zubiri, providing avenues to educate the youth and giving them access to high quality education “would lay the foundation for development”. Through the senator’s initiative, a total of P57 million was allocated for the operation of the satellite campuses, with P39 million included in the university’s General Appropriations Act (GAA) allocation for operations and personnel costs. BukSU takes care of administration and providing academic services, including the hiring of teachers and non-teaching personnel to run the satellite campuses. Mrs. Wilma L. Gregory, BukSU chief finance officer, said the allotment can be released to the university as soon as all requirements are complied, such as the hiring of personnel. An allotment of P18 million was also downloaded to the Department of Public Works and Highways (DPWH) in 2017 to build six three-room multi-purpose buildings in the towns of Cabanglasan, San Fernando, Quezon, Kitaotao, Damulog and Pangantucan. The Municipality of Pangantucan, which runs a community college, eventually withdrew to have a satellite campus. Mr. Albert A. Villanca, ESC coordinator, said the senator also initiated the allotment this year of additional P18 million for the construction of buildings for the first six former extension centers turned satellite campuses. Senator Zubiri led the turn over rites of the constructed buildings to BukSU on May 8 (Damulog and Quezon campuses) and May 25 (Kadingilan and Kitaotao campuses). Villanca earlier said the university’s operation of satellite campuses is governed by the Commission on Higher Education Memorandum Order No. 40 s. 2008 or the Manual of Operations for Private Higher Education of 2008, as prescribed. The same order applies to other state universities and colleges operating satellite campuses. He said each campus will eventually submit its academic programs separately for accreditation to quality assurance mechanisms like the AACCUP or the Accrediting Agency of Chartered Colleges and Universities in the Philippines (AACCUP). The local government unit in the concerned town is also a partner in the senator’s initiative through a memorandum of agreement. Mr. Villanca said the local governments provide a lot where the multipurpose building will be built. They also support the preparations for the campus opening by providing furniture, fixtures and equipment. Mr. Villanca said as of June 13, 2018, the satellite campuses are already operational despite some minor glitches, including the delivery of some facilities and equipment already requested. Dr. Cabañelez said BukSU is very thankful for the support provided by Bukidnon Gov. Jose Ma. R. Zubiri Jr, who also sits at the BukSU board of regents. He also thanked all of Bukidnon’s congressional representatives namely, representatives Manuel F. Zubiri (3rd district), Ma. Lourdes Acosta-Alba (1st district), Florencio T. Flores Jr. (2nd district) and Rogelio Neil P. Roque (4th district) for their support to the university.